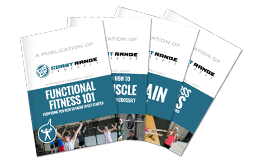 Have a question about Coast Range CrossFit? Wow, we must be great mind readers. Hopefully, we can answer a few for you in the FAQs below. If not, feel free to contact us and we’ll reply back as soon as we can. We have a lot of memberships for your needs and budget. Get started today with a FREE intro session by clicking here! When you first come to Coast Range CrossFit, you’ll start out with a FREE intro session where you’ll perform a baseline workout, chat with our coaches, and discuss your future goals. Then, we’ll add you to our On-Ramp program, where you'll learn fundamental CrossFit movements, technique, nutrition, and more. We can’t wait to meet you. To get started today, just click here. We love visitors. To schedule your drop-in session, click here. Experienced CrossFitters only, please. We sure do! Our coaches would love to work with you 1-on-1 so you can use the workout time you have to its best advantage. To get started with personal training, click here.